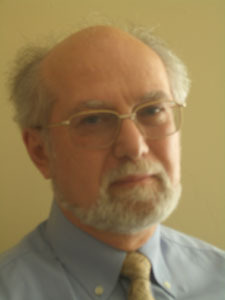 Jon Stern is an Honorary Visiting Professor at the Centre for Competition and Regulatory Policy (CCRP) in the Department of Economics at City, University of London. He was a Panel Member at the Competition and Market Authority (CMA) from 2013 to 2018. Jon is also an Associate Researcher at EPRG, Cambridge and an Associate of CARR at the LSE. Previously, Jon Stern was a Senior Advisor at CEPA (Cambridge Economic Policy Associates), an Associate Director of the Regulation Initiative at the London Business School and a Visiting Fellow at the Cambridge Judge Business School. Jon has worked extensively as an economic consultant and before that he spent over 15 years as an economist in the UK Government Economic Service. He has published a sizeable number of papers on infrastructure industries and their regulation in both developed and developing countries as well as co-authoring a major World Bank book. He is a member of the Office of Road and Rail academic panel. (i) The economics of infrastructure industries, including energy, water and railways. (ii) The relationship between economic regulation and competition policy. (iii) Economic regulation and regulatory governance issues. (iv) Economic evaluation studies and methods.